Greek PM Alexis Tsipras said on Tuesday that Athens and Skopje had reached a historic agreement over the name issue. 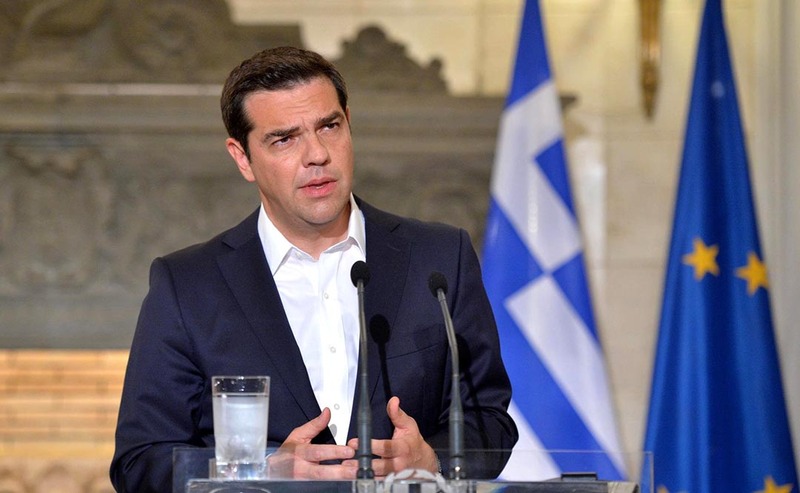 “I have good news, a while ago we reached an agreement with the Prime Minister of the former Yugoslav Republic of Macedonia on an issue which has been on our minds for many years,” Tsipras told Greek President Prokopis Pavlopoulos during a televised meeting in the afternoon. According to him, the deal is on a compound name with a geographical qualifier for so-called erga omnes use, which envisages a constitutional revision. As the Greek PM added, he’s happy “because we have a good deal which covers all the preconditions set by the Greek side”. Tsipras will hold meetings with party leaders in his country, as well as with the Parliament Speaker. Pavlopoulos said the deal was good and included the demands for a constitutional revision and erga omnes. As he stated, it is now the northern neighbour’s task to achieve what it is committed to and progress in the processes. The deal prevents, as the Greek President explained, “the usurpation of history” and ancient Macedonia’s legacy.